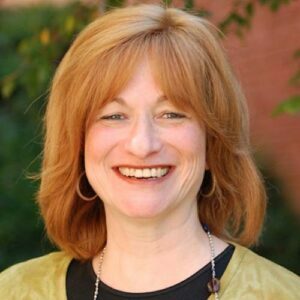 Mariashi Groner, Director, of Charlotte Jewish Day School, has more than 20 years of experience in school administration and classroom teaching. She received her training in Judaic education at Beth Rivka Seminary, Brooklyn, New York. She founded The Jewish Preschool on Sardis in 1989 and The Jewish Day School of Charlotte in 1995, which became The Charlotte Jewish Day School in 1999. Mariashi has received numerous grants and recognitions in her role as head of school at Charlotte Jewish Day School. She was awarded a grant from AVI CHAI to attend the Principals’ Center at the Harvard Graduate School of Education. She was also appointed to serve as a mentor for three classes of the SULAM program, a joint project of RAVSAK and the AVI CHAI Foundation, where she mentored heads of schools with 50 to 700 students from community day schools across the country. Mariashi lives in Charlotte with her husband, Rabbi Yossi Groner. She is the mother of ten children and grandmother of fourteen.